Currently viewing the tag: "ftb"
The increase in house prices and activity in the UK property market has been credited to an increase in first-time buyers (FTB) purchasing residential property using the Government’s Help-To-Buy scheme. The ONS have revealed that annual house price growth outpaced the cost of living in November 2013, even after removing property market activity in London and the South East of England from the calculations, property prices were up by an average of 3.1%, compared with a 2.1% rate of inflation. Property price increases in the UK are generally driven by market activity and price increases in London and its surrounding areas, although other regions have started to show accelerating property price increases. UK regions are becoming far more buoyant and less reliant on activity in the London property market and the majority of buyers are having to look further afield than central locations to find affordable properties, creating a halo effect on property prices. The annual increase in UK property prices in November follows on from the 5.5% rise observed in October 2013 and although the annual comparison did not show any acceleration, property prices were higher than the previous month increasing by 0.5% in November compared with October, with an average residential property valued at £248,000 (GBP). The ONS house price index is based on mortgage completions, and is considered to be more comprehensive than House Price Indices (HPI) produced by mortgage lenders such as the Halifax and Nationwide whose figures are based on their own mortgage data. 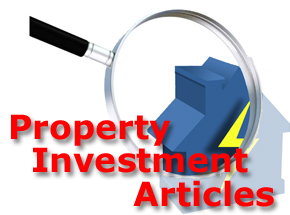 Is Not Bad News For Property Investors! The Help-To-Buy scheme may not be open to property investors for rental property purchases, but the scheme does have some good points. From 7th October 2013, first-time buyers and existing property owners are now eligible to buy property with a 5% deposit as part of the new Mortgage Guarantee Help-To-Buy scheme. The scheme was originally launched for new build properties at the start of 2013, with the resale portion set to launch in January 2014, however lenders can begin writing loans through the Help-To-Buy scheme from October 7th 2013, but they will not be able to purchase the Government guarantee that underpins these mortgage loans until January 2014. A recent study by the Royal Institute of Chartered Surveyors (RICS) has shown that the Government still are not doing enough to alleviate the chronic shortage of residential housing in the UK. The Royal Institute of Chartered Surveyors have again stated that successive governments have failed to produce a coherent long-term strategy for UK housing. The RICS housing commission may concede that some of the coalition government’s policies are producing short-term help for the UK house building industry but they are prepared to argue that successive ministers’ lack of consistency in policy over the past 50 years has exacerbated the failures of the UK property market. The Royal Institute of Chartered Surveyors think that current Government housing policies are merely clearing up the problems left by their Labour party predecessors, and current government ministers are struggling to find a viable alternative solution to the current housing shortage. The controversial Government incentive scheme “Help to Buy” set for launch on 1st January 2014 is designed to aid first time buyers with property purchases and in turn this incentive could boost the UK residential property sales market without being of any real use to first-time buyers. Morgan Stanley have issued a forecast that UK residential property prices are expected to increase between 8% and 13% before the end of 2014 and the bank reckons that its forecast is “supported by government policy”. The investment bank’s prediction follows a warning by the Organisation for Economic Co-operation and Development (OECD) which says that the Help to Buy scheme offering 95% mortgages, due to launch in January 2014, could pump up UK residential property prices but would not necessarily increase the supply of available residential property. 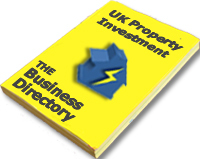 George Osborne’s spring 2013 budget included new measures to help more people purchase their own homes and this news has been generally welcomed by property industry professionals. The Chancellor of the Exchequer firmly believes that the measures announced in the spring budget will provide a major boost for the UK economy, despite calls for an economic U-turn from the Labour opposition. Mr Osborne told the press that there were far more difficult decisions still to be made regarding the nation’s spending in order to get the overall deficit down, however, the government are taking measures to help people buy their own home. The Chancellor announced that the FirstBuy scheme which was aimed at First-Time Buyers (FTB) on an income of up to £60,000 (GBP) per year, is being replaced with a ‘Help to Buy’ equity loan scheme available to all buyers looking to purchase a new build home up to a value of £600,000 (GBP), with a deposit of just 5%. A new mortgage guarantee scheme was also announced during the spring budget, which extends the previous NewBuy Guarantee initiative to include older residential properties as well as new-build homes, which he hopes will result in a sharp rise in lending to potential homebuyers, thus kick starting an upturn in the UK property market. The new scheme will start in January 2014. Buy to let mortgages are not going to be included under the new scheme, however it remains unclear if existing property owners will be able to purchase property without selling leaving them with an income producing property asset when they offer their old home for rental.